We run weekly group singing sessions in McNeil Street and Moffat Street dementia units. We also run singing groups in the Blackfriars Court Sheltered Housing every three weeks. 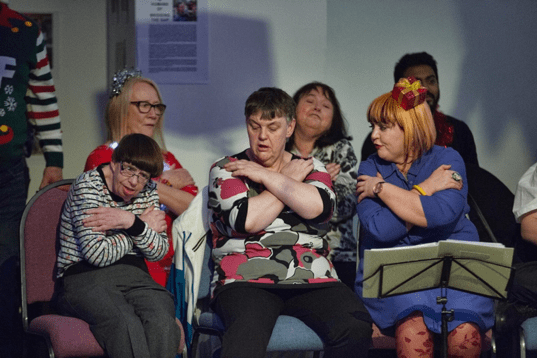 These are uplifting singing sessions for residents, friends, family and staff to allow people to connect to one another, improve their wellbeing and have fun. For more information or to see if we can start a similar group where you work, please email the manager Clare at givin.it.laldie@gmail.com.